The Nashorn (Rhinoceros), later called Hornisse (Hornet), was designed to accommodate the 88mm Pak 43/1 L/71 gun - the most powerful tank armament produced by the Germans in World War II, and the most effective anti-armour gun built by either side. With a muzzle velocity of 1018m/sec (3340ft/sec), it could destroy any Allied tank in service up to the end of the war in Europe in May 1945. In October 1942, it was decided to use 100 vehicles for the summer offensive on the Eastern Front from the initial order of 500. 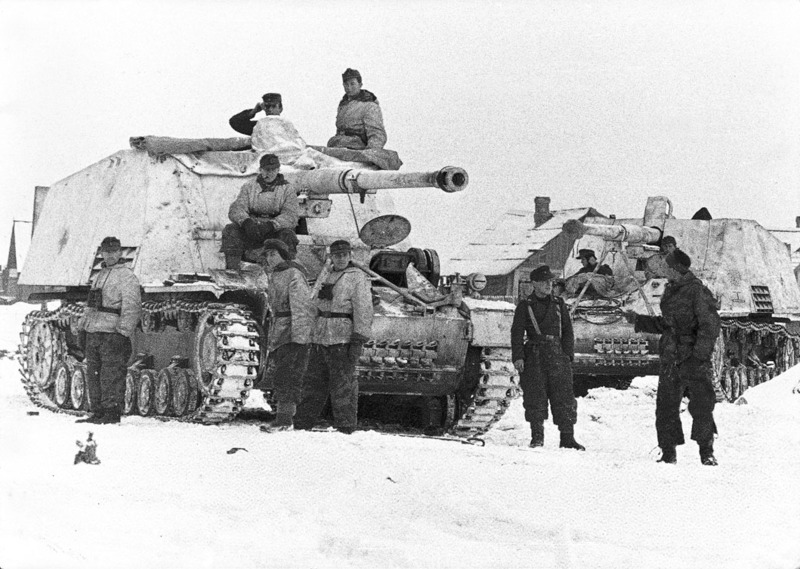 As with the Hummel (see page 15), the chassis used a lengthened Panzer IV hull with the motor moved forward to a central position. Some 494 Nashorns were delivered between February 1943 and March 1945, and they were assigned to heavy antitank units which acted as independent formations attached to corps or armies. As such, they became highly effective mobile tank-hunting squads, especially on the Eastern Front, where they knocked out hundreds of Soviet T-34s. The first Wehrmacht unit to be equipped with Nashorns was the 655th Heavy Anti-Tank Battalion (schwere Panzerjägerabteilung) on the Eastern Front in the summer of 1943. In total, five other heavy tank-hunter units were formed, seeing service in Italy, the West and Russia.